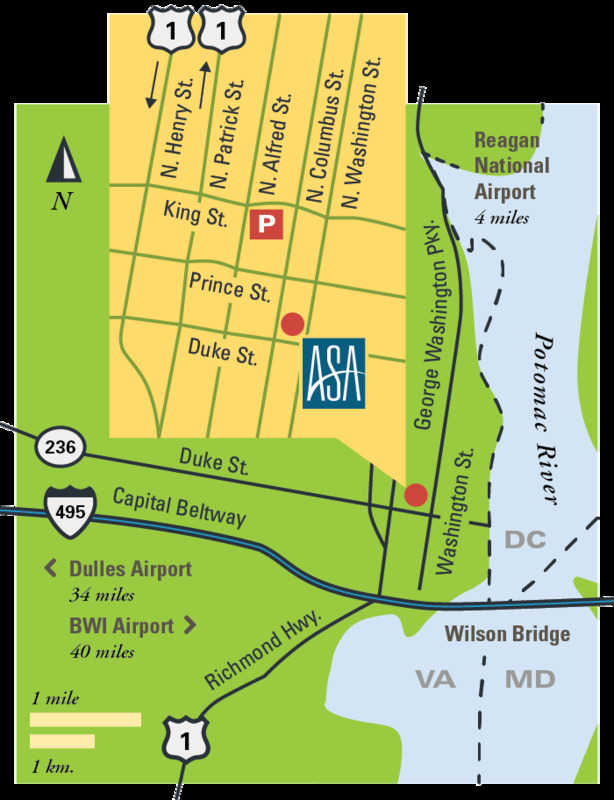 Getting to ASA is easy from downtown Washington or three major regional airports. Use the links below for directions. The closest public parking garage is at 116 Alfred St. and costs $3 an hour or $12 a day. Two-hour metered street parking is also available. Exit airport onto George Washington Memorial Parkway south (follow signs for Alexandria). The parkway turns into Washington St.; the ASA office is on the right, at the corner of S. Washington St. and Duke St.
Exit airport onto Dulles Airport Access Rd. Merge onto I-495 south (toward Richmond); follow it to I-95 north. Take Telegraph Rd. north. Merge onto ramp toward Duke St. east (Old Town Alexandria). 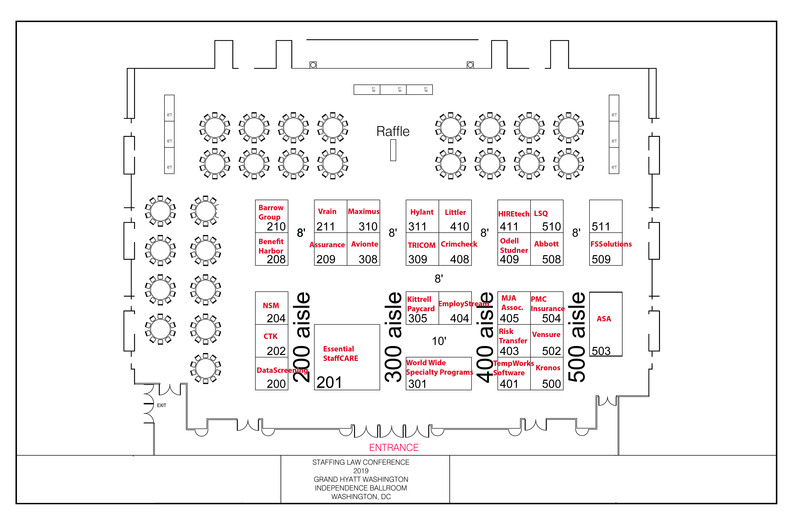 The ASA office is on the left side, at the corner of S. Washington St. and Duke St.
Exit airport onto I-195 west; continue to I-295 south, then to I-495/95 south. Use exit 177; follow the ramp for U.S. Highway 1 north (Alexandria). At the third traffic signal, turn right on Duke St. The ASA office is on the left, at the corner of S. Washington St. and Duke St.
Exit Union Station traveling west on Massachusetts Ave NE. Turn right onto Columbus Cir. NE, then left onto Louisiana Ave. NE, then right onto D St. NW. Merge onto I-395 via the ramp on the left. Take exit 10B toward Mount Vernon/National Airport. Merge onto the George Washington Parkway south. The parkway turns into Washington St.; the ASA office is on the right, at the corner of S. Washington St. and Duke St.
Take red line to Gallery Place-Chinatown station. Transfer to yellow line in the direction of Huntington and alight at King St. Walk, or take a cab, east on King St. for about a mile, then turn right on S. Washington St. The ASA office is on the right, at the corner of S. Washington St. and Duke St. Walk, or take a cab, east on King St. for about a mile, then turn right on S. Washington St. The ASA office is on the right, at the corner of S. Washington St. and Duke St.